After Collector is installed, the registration screen will display. 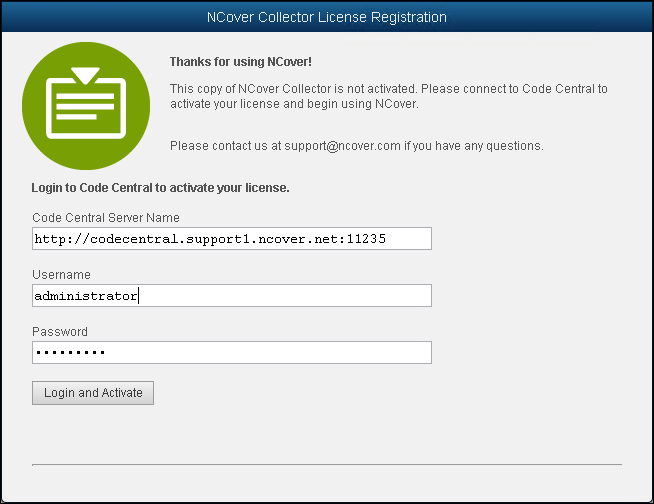 Since Collector depends on connectivity to Code Central, you're prompted to connect to the Code Central server at registration. Click Connect to Code Central Server. 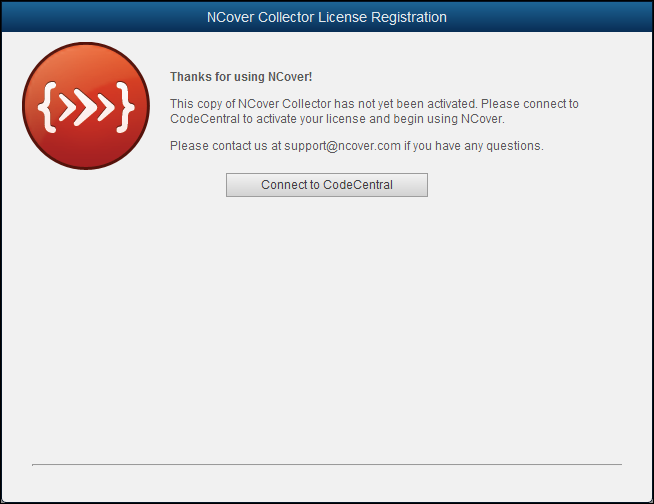 Click on the Login and Activate button and Collector will contact the Code Central server. If the connection info is valid and the Code Central service is running, a success message will display. 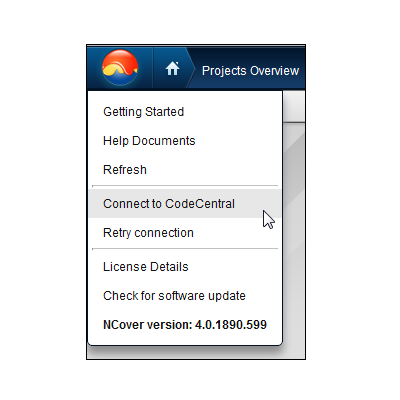 When you return to the Collector Home view, the Code Central button on the "Projects Overview" panel shows you that Collector is connected to Code Central.